The cameras used by the astronauts #Photography #NASA #Space @hasselblad @nasa « Adafruit Industries – Makers, hackers, artists, designers and engineers! The camera company Hasselblad has published a history of their exceptional cameras as used by NASA in the space program. Over forty years ago, a then-unknown Walter Schirra entered a Houston photo supply shop and purchased a Hasselblad 500C. The camera was a standard consumer unit with a Planar f/2.8, 80mm lens. Schirra was a prospective NASA astronaut; thinking to take his new purchase with him on a space mission, Schirra stripped the leatherette from the body of the Hasselblad and painted its metal surface black in order to minimise reflections. And when he climbed aboard a Mercury rocket in October 1962, he had the Hasselblad alongside him. Using his consumer model Hasselblad, Schirra took the first space photographs. 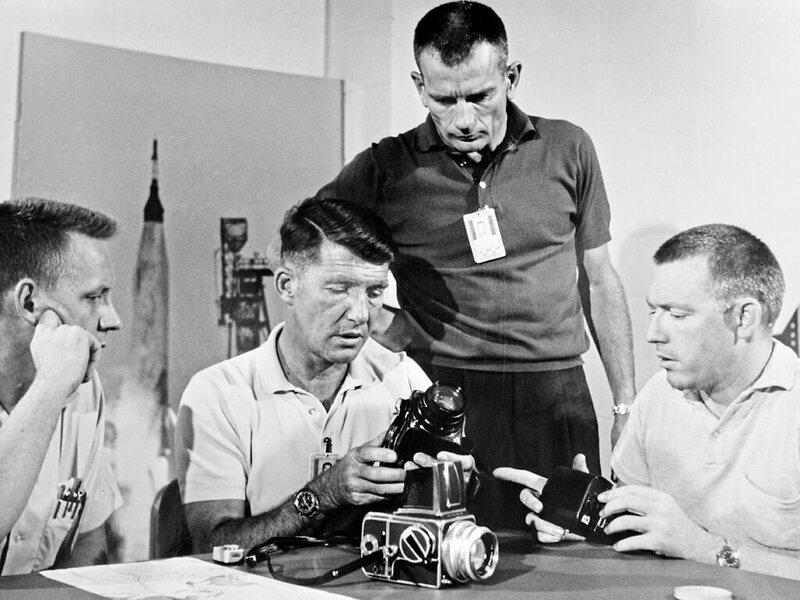 Thus began the first page of a new chapter in the history of Hasselblad and photography and a long, close, and mutually beneficial cooperation between the giant American space agency and the small Swedish camera manufacturer. 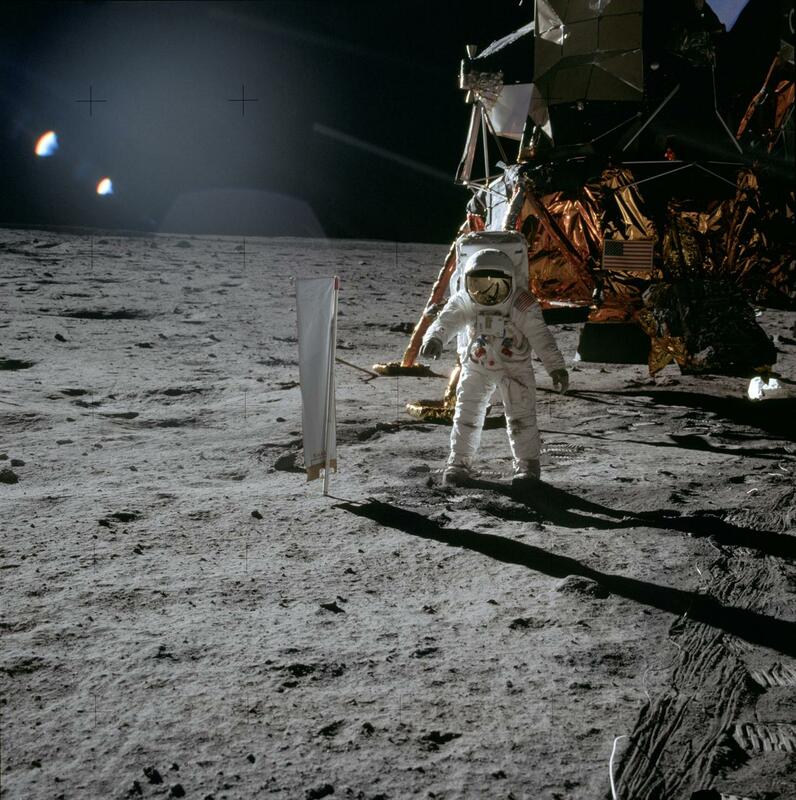 As NASA’s photo department grew rapidly, contact with the Swedish camera manufacturer broadened. In turn, Hasselblad modified and refined its cameras to make them even more suitable for space use, experimenting with different constructions and lenses. For many years, NASA was determined to cut every superfluous gram from the payload, meaning that the Hasselblads onboard were forced to be as lightweight and lean as absolutely possible and still maintain the famous Hasselblad quality. The images that the astronauts took with the boxy, black Hasselblads have become true classics. And the moments they captured were not just inspiring, they were historic. 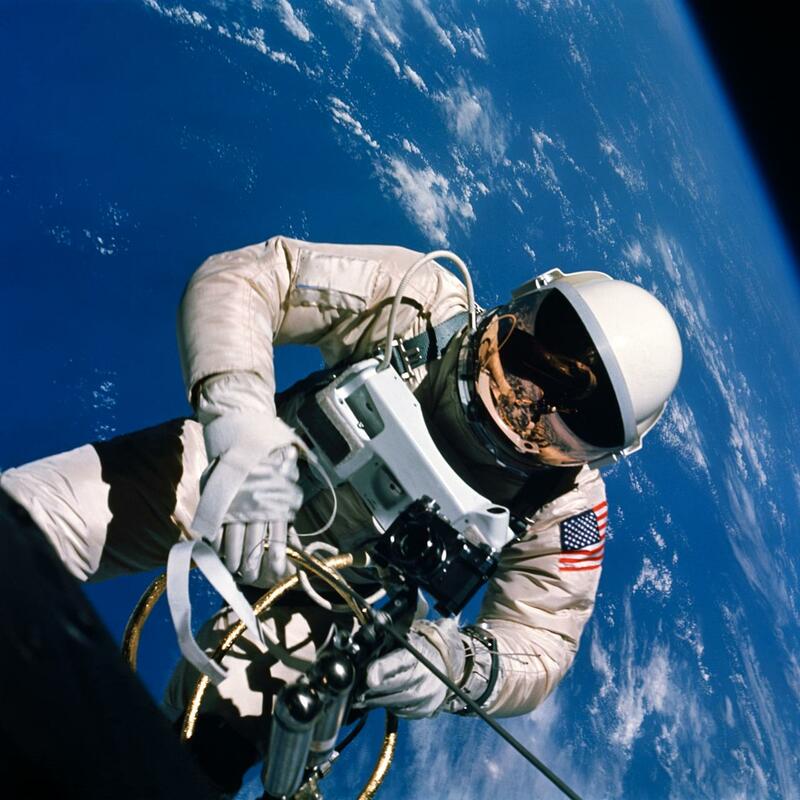 During the Gemini IV mission in 1965, for example, the first spacewalk was made. And with Hasselblad in hand, James A. McDivitt took a series of pictures of his space-walking colleague, Edward H. White. These pictures were quickly published in leading magazines around the world. See the story with additional pictures on the Hasselblad website.